Welp. I guess we have a new president elect. To be honest, I'm a little worried. If nothing else, someone needs to talk to this man about his look. I can't imagine, though, that he hasn't had access to the best image consultants money can buy. 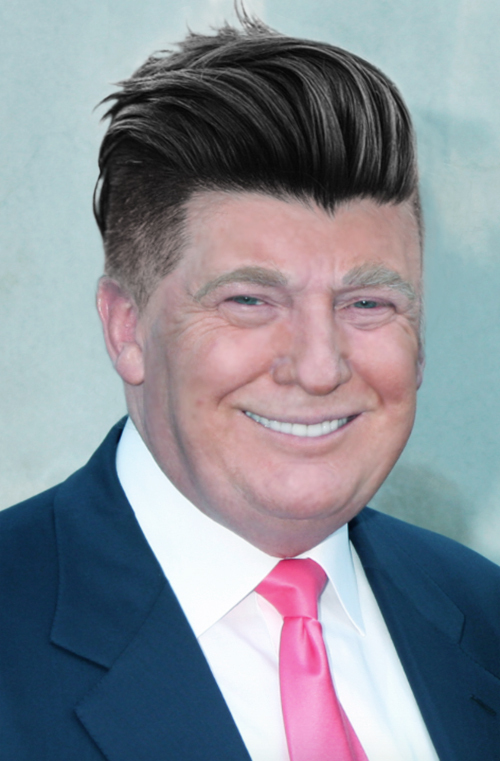 So, in efforts to help the ol' Donald, I decided I'd help him pick out some new haircuts. I found the original picture in this article on Dr. Hurd . com. Now let's look at my suggested changes. First, I decided to do something subtle. I toned down the skin color, evened it out, and clipped some of the extra off of Donald's hair. 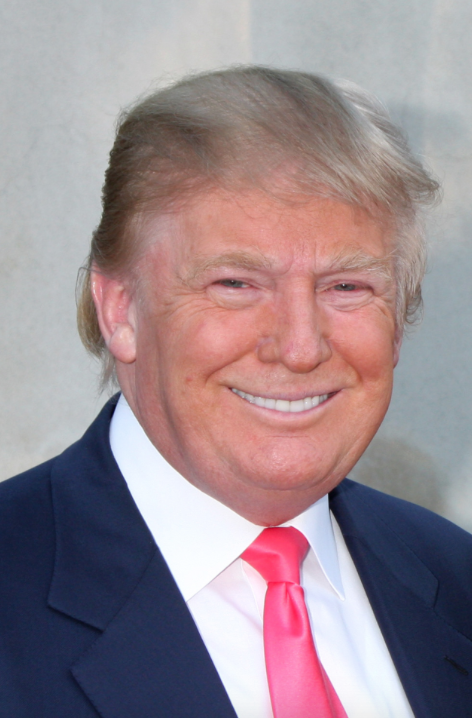 This is, perhaps, what Donald Trump might look like if his skin were amore natural color. Doesn't he look so respectable with a trim? Next, we have some hair I stole from George Clooney. 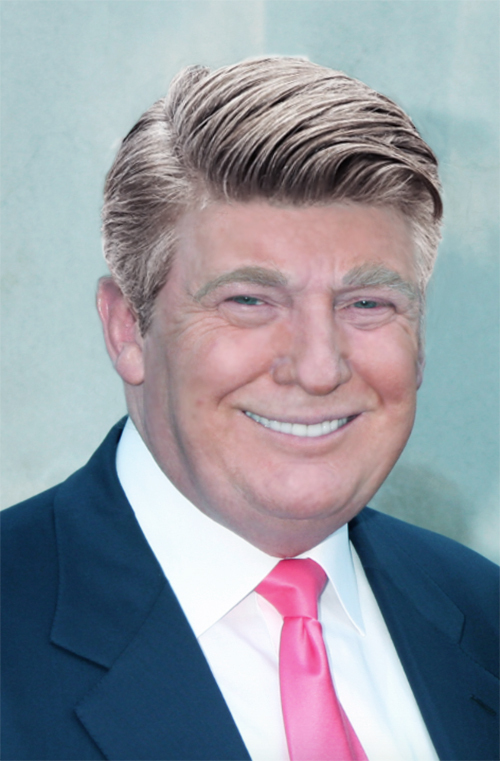 Clooney's always been known for having trendsetting haircuts, so I thought it appropriate Donald try out his look. The result is decidedly Reagan-esque. A little further from his conservative fanbase but still hearkening to Reagan, we have this suave look with shaved sides. This would certainly appeal to the young people. Taking it even further, we have a look I've borrowed from Justin Bieber. This actually makes Trump look like a chubby David Bowie. And we all know he fancies himself a blonde. 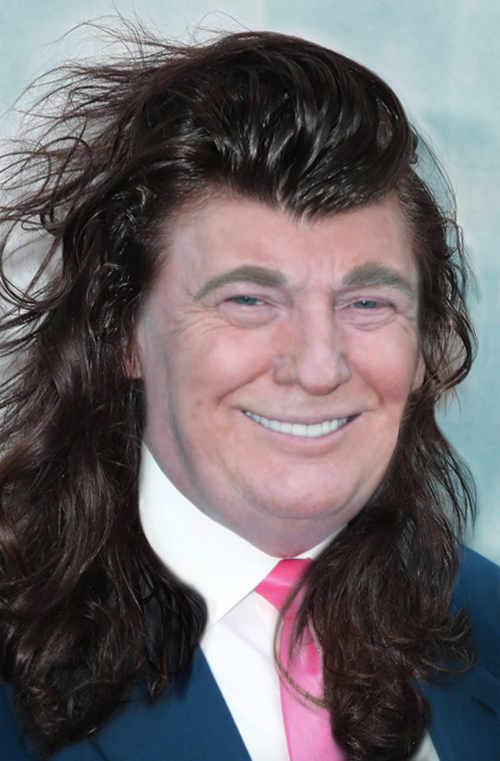 Lastly, if Trump really wants to be really daring, he could take a page from Harry Styles's book and just let it flow. This may require hair transplants from Milania or even just a straight up wig. I hope this has lightened your heart. Happy Wednesday!